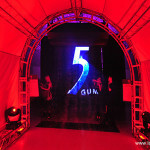 Latin Pop Sensation and Premio Lo Nuestro Pop Group of the Year Camila headlined the grand finale concert for Vive tu Musica with 5 Gum at Santa Monica's Barker Hangar. 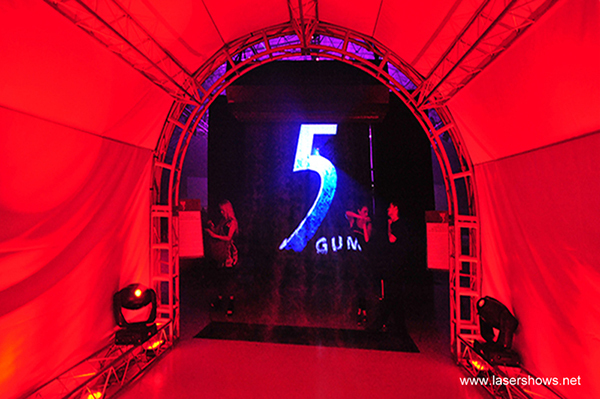 Lightwave provided laser effects in the hangar and a fog screen entrance featuring a color-changing 5 Gum logo. 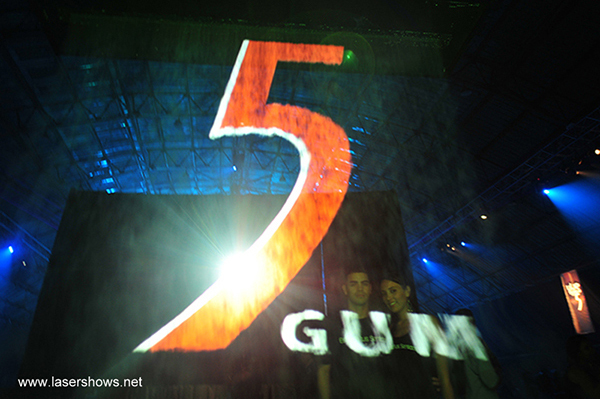 Latin Pop Sensation and Premio Lo Nuestro Pop Group of the Year Camila headlined the grand finale concert for Vive tu Musica with 5 Gum at Santa Monica’s Barker Hangar. 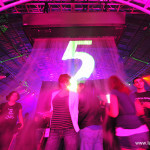 Lightwave provided laser effects in the hangar and a fog screen entrance featuring a color-changing 5 Gum logo. 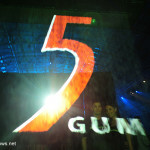 Vive tu Musica was a 2009 talent search for the next huge Latin recording artist sponsored by Wrigley’s gum. 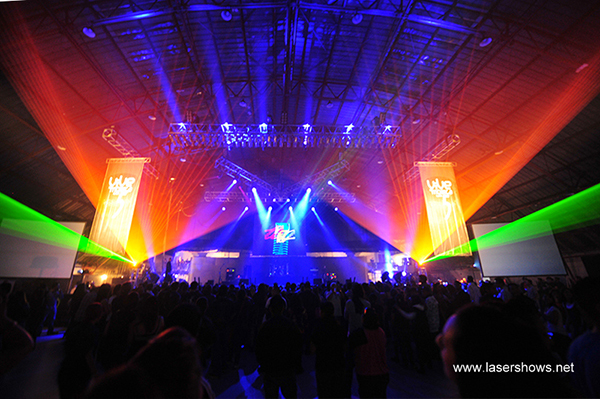 The grand finale event included performances from the top five rock and pop bands that were identified through an on-line nomination and voting process. 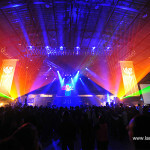 The bands competed in front of celebrity judges who offered real-time critiques to the audience. 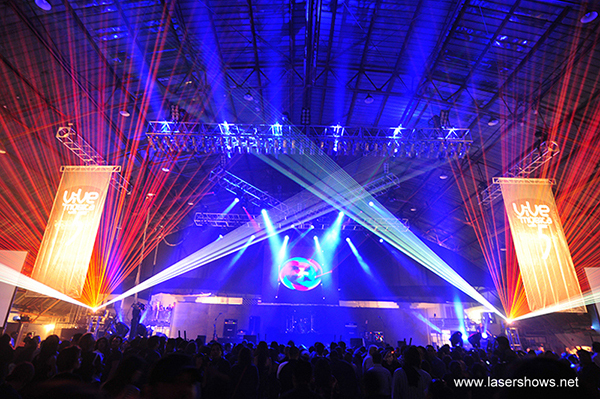 Chilean rocker Beto Cuevas, Mexican alternative rock recording artist Natalia Lafourcade and Camila chose the winning band, known as Vinyl Soul. 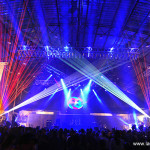 Two powerful lasers projected beam effects back at the audience, while a light show occurred on the wall of the hangar. 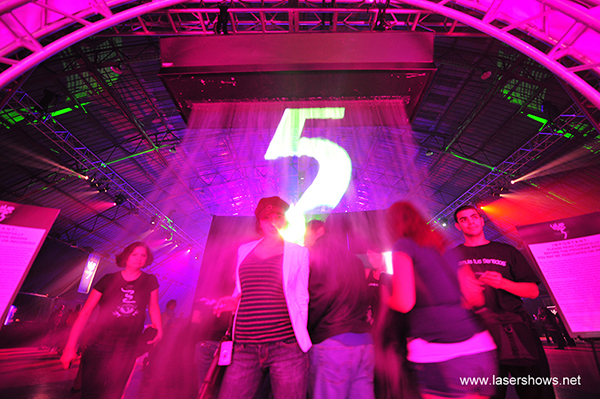 The fogscreen served as the access point to the event, where visitors would walk through the effect.